Bilberry is a plant of which the berries are used to benefit your health. Similar to the healthful properties of blueberries, bilberries are one of the berries that can enhance your immunity and help cells repair. In addition to being a delicious tea, bilberries are often used in baking to make pies and jams. Bilberry is a plant that grows in Northern Europe. It is a perennial plant that stands a mere 16-inches tall. The green branches of the bilberry plant are sharp. The berries are black and wrinkled and typically are ready to be picked in the late summer. Although it most closely resembles and tastes similar to a blueberry, it is also in the same family as huckleberries and cranberries. The bilberry fruit can be used to make teas, medicines, eaten on its own or combined with other ingredients for baking. Also known as Vaccinium myrtillus, the bilberry plant is part of the astragalus family. What is Bilberry Tea Good For? 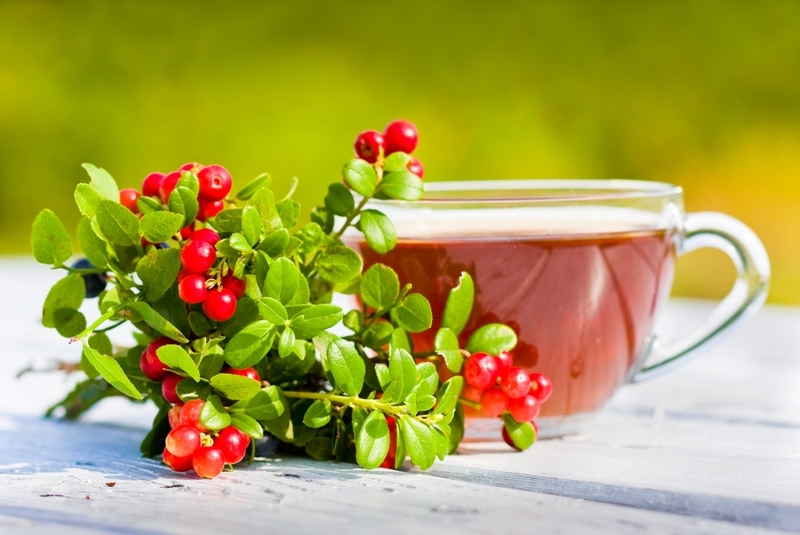 If your family has a history of heart disease or an increased risk of cancer, adding bilberry tea to your dietary plan may help prevent the progression of the disease in you or in other family members. If you are searching for an alternative healing to traditional medicine or want a ayurvedic complement to prescription medications, bilberry tea is a natural, herbal way to improve your health without many side effects. What Does Bilberry Tea Taste Like? Since the bilberry is part of the berry family and closest to the blueberry, you can expect the tea to have a natural, berry flavor. You may find the flavor more tart than a blueberry. Since bilberry tea is made of the leaves of the plant, you may find a delightful herbal flavor that you can enhance with your favorite flavors such as honey or lemon. You can also create your own delicious tastes by combining bilberry tea with your other favorite herbal teas. 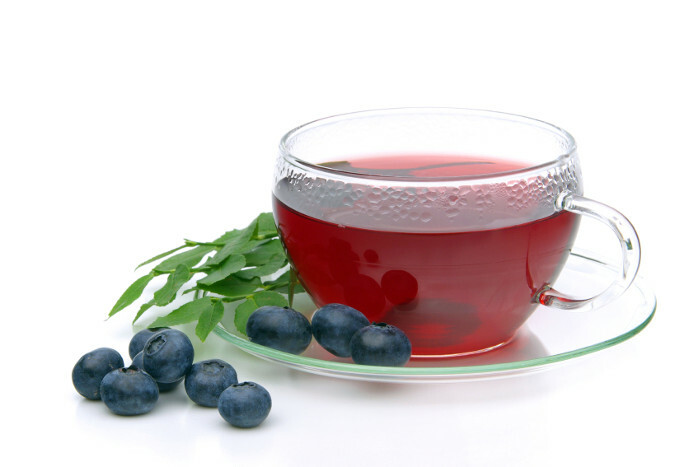 Bilberry leaf tea pairs well with other berry teas such as raspberry and blueberry. You can boost the antioxidant properties by pairing it with other similar teas. If the berry taste becomes overwhelming, try partnering your tea with something soothing such as chamomile or lemon. You can also try combining it with a neutral tea such as green teas or white teas. Other fruit teas also combing well with bilberry and you can select from those that contain apple, cherry or orange flavors. The anthocyanosides in bilberry leaf tea are the strongest healing component for eyes. These properties appear to protect the retina and can repair vision problems. You may also see results in your vision when adjusting to changes in light. Other studies, according to the University of Maryland Medical Center, show possible cancer-protecting benefits and a reduction in Alzheimer’s from the anthocyanosides in bilberry tea. The anthocyanosides also strengthen blood vessels and reduce inflammation, both of which are beneficial for protecting the body against cardiovascular diseases. Another anti-inflammatory component are tannins. These components are also astringents which tighten and constrict tissues. Are There Any Side Effects From Bilberry Tea? The side effects from bilberry tea are mild as this herbal remedy appears to be safe for most everyone. Pregnant or breastfeeding women should use caution. You should always clear your use of this or any herbal remedy with a physician prior to use. If you do experience side effects such as severe weight loss, nausea, headaches, rashes or muscle spasms, discontinue use and seek medical attention. Bilberries may interfere with medications taken for diabetes, as bilberries can lower blood sugar. Please monitor your glucose levels while using bilberry tea if you have diabetes. If you take an anticoagulant, a blood-thinner, also use caution, as bilberries tend to prevent blood from clotting so you may be at a risk of excessive bleeding. If you are using the berry to make the tea, WebMD recommends between 5 and 10 grams of bilberry, which is approximately 1 to 2 teaspoons. If you are using the tea leaves, steep 1 gram, 1 to 2 teaspoons in a boiling cup of water. Strain the leaves and enjoy. Aim to not use for more than six months at a time. Who Can Benefit From Bilberry Tea? Those who are at an increased risk of heart disease can benefit from bilberry leaf tea. Others, who are suffering from eye conditions such as macular degeneration may also see an increase in vision after drinking the tea. If you suffer from chronic diarrhea, bilberry tea may provide relief. The fruity flavor and high antioxidant properties make bilberry tea desirable for all. Whether you enjoy tea from the berries or the leaves, you can find the combination of flavor and health-boosting benefits you need. The rich color of bilberries has been used as a dye for fabrics and other foods. The bilberry may stain your hands, skin, tongue and teeth. Bilberries grow in solitary rather than bunches like blueberries. Nicknames of the bilberry include the “European Blueberry” and the “whortleberry”.